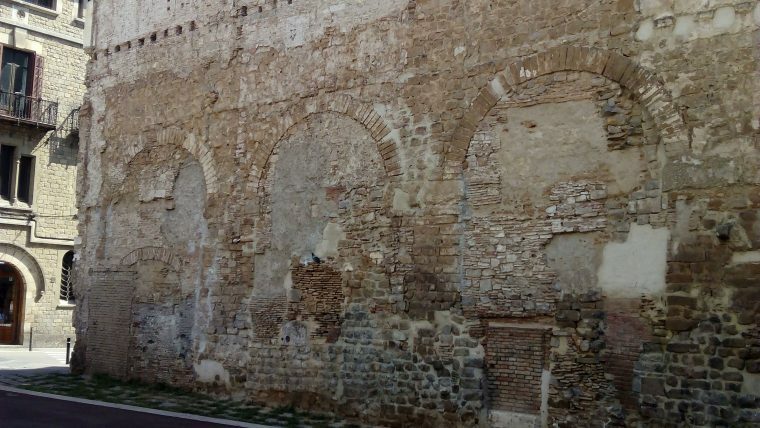 The restoration of the Roman aqueduct in Plaça del Vuit de Març, in the Gòtic neighbourhood of Ciutat Vella, will reclaim a key piece in the city’s history for public appreciation. The archaeological remains date back to the end of the 1st century BC and were part of the 13 km canal that brought water from Montcada. The restoration is part of the Bàrcino Plan and aims to make the aqueduct more visible. At the moment it is difficult to identify as it is totally integrated into the party wall of a building where the archaeological remains are to be found. More specifically, the canal, four arches and pillars will be highlighted by cleaning the surrounding material, which is of no value, and freeing the space where possible, because the wall provides support for the building. Excavations below street level will reveal the base of the pillars to show the original size of the aqueduct, which was 11 metres high. The restoration is expected to be finished in the first half of 2019 and has a budget of €345,000, funded by income from advertising hoardings covering buildings. The Roman aqueduct, which carried water over 13 kilometres from Montcada to Plaça Nova in Barcelona, was the first public construction in the city. It dates from the end of the 1st century BC and functioned until 6-7AD. The Rec Comtal irrigation canal is the heir to this first aqueduct. The start of the Middle Ages saw a change of mentality and what, until then, had been considered a common good for all came to be regarded as wealth-creating consumer good. 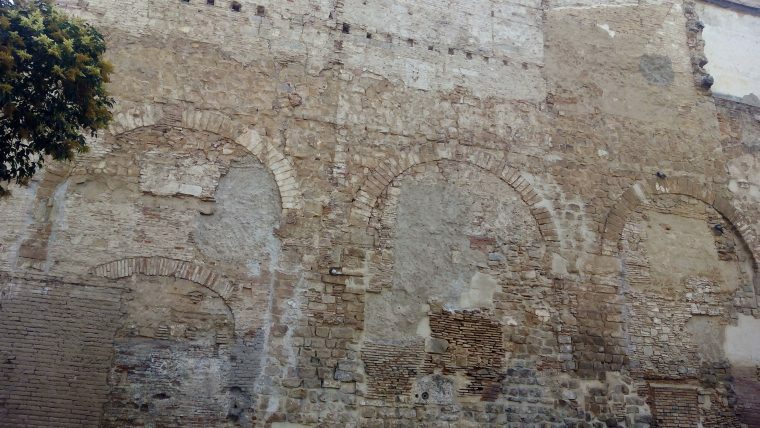 As the aqueduct was no longer in use, its structure served as a foundation for new buildings until 1988, when the demolition of houses on C/ Duran i Bas exposed the remains. Alfred Lloré, a Ciutat Vella resident, notified the Museu d’Història de Barcelona, thus enabling their preservation.